The Limerick Tidy Towns monthly award for November has gone to the Samaritans for their beautifully maintained building at 20 Barrington Street. Pictured outside the premises being presented with the award by Maura and Sharon are John Downey, Director of the Limerick Tipperary branch and Brendan O’Donoghue, Chair of the Committee. We are fortunate in Limerick to have many beautiful buildings which need little more than a fresh coat of paint and for the frontage to be kept clean and tidy for their original features to show them in their best light. The Samaritans building at 20 Barrington Street is one such example as it is always immaculately kept with spotless traditional white painted frontage and a beautifully maintained tiled entrance and railings outside. Unlike the other mainly Georgian buildings on Barrington Street, this building dates from the late Victorian period with a large two storey bay window over a well-kept basement, and is a great example of the potential these buildings have when not allowed to fall into disrepair, as sadly so many of them do. Credit must also go to the South Limerick City Residents Association for their continuing work in keeping Barrington Street and surrounding areas so clean and tidy. The Samaritans provide a vital lifeline to people going through difficult times, particularly at this time of year with Christmas around the corner, which is when people often need to reach out more than ever. The charity was first formed in London in 1953 and established in Ireland in 1962. Today they have 20 branches and 2,400 volunteers across Ireland, including the Limerick Tipperary branch which opened 40 years ago and moved from Upper Cecil Street to Barrington Street in 1993. Their volunteers still today operate on the original guidelines of confidential, non-judgemental support to callers who are often contemplating suicide, and there is no doubt that countless lives have been saved as a direct result of that support. You can contact the Samaritans at their Barrington Street office on 061 412111 or visit their website www.samaritans.org for more information about how to volunteer or donate to this most worthy charity. Donations are especially welcome at this time of year, when the services provided by the Samaritans are most in need. 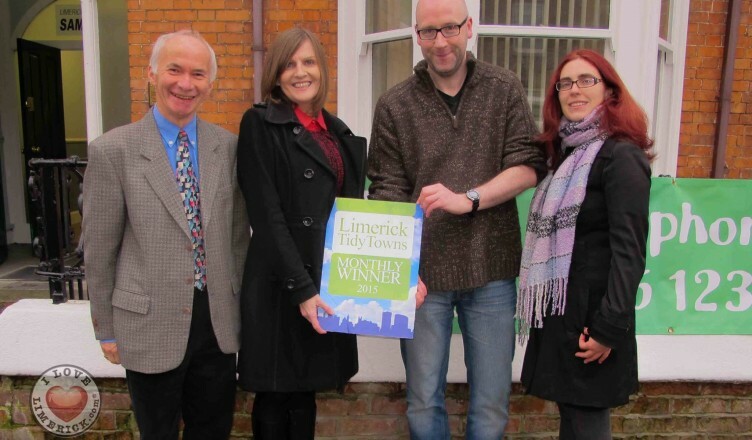 The Samaritans Limerick branch is the 11th and final recipient of Limerick Tidy Towns’ monthly awards for 2015, with The Stormy Teacup having won in January, Thomas Street Framing Centre in February, Bobby Byrne’s in March, Parnell Plaza in April, Combu b in May, Figaro Barber Shop in June, Limerick Youth Service in July, The Curragower in August, Keating Connolly Sellors in September and O’Donnell Boutique in October. The city always looks so beautiful in December that it is impossible to select just one winner, but an overall winner will be chosen early next year from the 2015 winners to date. Going forward, if members of the public wish to suggest future monthly winners in 2016 which they feel merit the award, please do let us know. 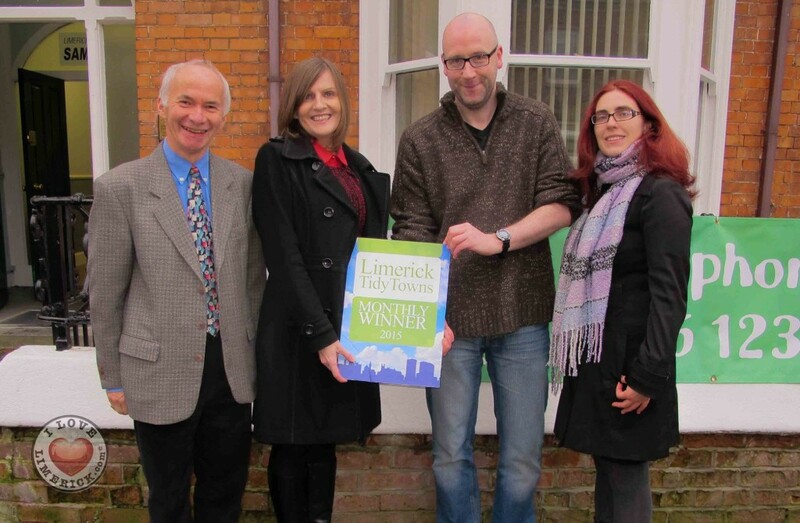 Limerick Tidy Towns would like to thank Fran Fitzgerald of I Love Limerick for taking the photographs for this and all of our monthly awards.